Funded through membership fees, fundraisers, and grants, the JASP pursues a balance of activities including educational outreach programs for students and teachers, business and networking events, and regional culture programs. These programs promote U.S. - Japan understanding, interaction, awareness, and goodwill. Please see below for ways to support these initiatives and ensure the long-term financial stability of the Society. Mr. Ms. Mrs. Dr. Fr. If given a choice of either sending a check to Harrisburg to pay for taxes on your business earnings OR making a donation to the JASP to support students receiving Japan-centered educational programs in area schools, which would you choose? You have such a choice through the Educational Improvement Tax Credit program (EITC)! For more information about EITC, click here. The EITC program is a great way to ensure that your tax dollars support the things you care about! 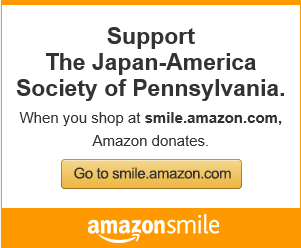 Please consider donating to the JASP today. It is also possible to donate via check or other financial instrument, make a donation in honor or memory of a loved one, or include the JASP in your estate plans. For more information, please call the JASP office at (412) 433-5021.